While the Obama administration used cancer metaphors to sell a war, it ignored the spread of a real disease. What’s in a metaphor? A lot, actually. As political scientist Michael J. Boyle pointed out in a Times op-ed, Obama’s language recalls the Bush administration’s war against “evildoers”—a crude vocabulary currently enjoying a coda in the descriptions of ISIS as “barbaric” (John Boehner, Bill Nelson, Al Franken), “pure evil” (Amy Klobuchar) and “savage” (Kerry). It is understandable that the public beheading of journalists and aid workers has provoked such reactions. But as Boyle argues persuasively, moralistic rhetoric oversimplifies complex situations, obscures ISIS’s strategic aims and discourages further analysis. Metaphors are superb tools for forging emotional associations and projecting broad, elusive ideas; they are terrible conduits of information and misleading frameworks for debate. Indeed, if Bush’s division of the world into good guys and bad guys epitomized the Manichean worldview of the neocons, then Obama’s cancer metaphor exemplifies—and enables—his administration’s protean strategic drift. 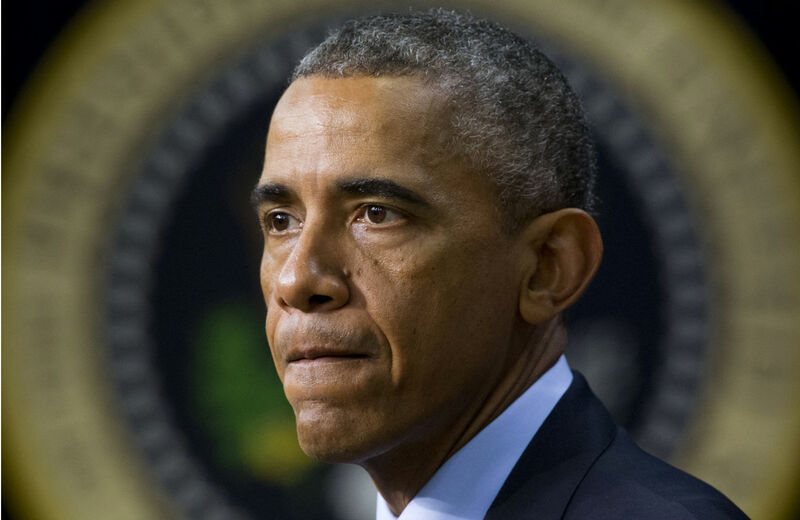 The world has been urged, variously, to “eradicate,” “extract,” “root out,” “contain” and “isolate” the “cancer of ISIS.” In a single press conference on September 3, Obama said that the goal of the US campaign is to “degrade and destroy” ISIS and to render it “a manageable problem.” Which is it? As for the actual fight against a real disease, President Obama has repeatedly linked the campaign against Ebola and the fight against ISIS as manifestations of “American leadership…the one constant in an uncertain world.” But in fact, the United States, like much of the world, has been appallingly slow in its response to the latest outbreak, which was first identified in late March in Guinea. Along with local healthcare providers, the front line has been primarily staffed by the humanitarian group Médecins Sans Frontières (Doctors Without Borders), which has some 3,000 workers in the region and has treated over a quarter of the confirmed cases on a budget of about $60 million. MSF’s repeated calls for international assistance went ignored for months. The World Health Organization didn’t declare the outbreak a “public health emergency of international concern” until August, and the UN Security Council didn’t pass a resolution calling on nations to fight this “threat to international peace and security” until September 18—two days after Obama, calling Ebola a “threat to global security,” announced that 3,000 US troops would be sent to the region under the direction of the US African Command, or Africom. Even so, the fact right now is that Africom’s intervention in the Ebola epidemic is necessary; even MSF, which has avoided military associations in the past, has called for the deployments, although the group has also cautioned that US troops should perform medical—not security—duties. It says something that a multinational response to Ebola was conceivable only in a “security” framework; that the language of disease was so readily co-opted to sell a war in Syria; and that, in fact, the capacity to respond to global health crises currently lies in the forces that otherwise conduct targeted assassinations. Terrorism or counterterrorism—which one is the metastasizing cancer?